The School District: This study took place at the Federal Furnace School, an elementary school in Plymouth, Massachusetts. The Plymouth School District has one preschool, nine K-5 elementary schools, two middle schools and two high schools. For the year 2004-2005 the student population was 8,608. Of the students, 2.9% are African American, 1% is Asian, 1.9% is Hispanic, .3% is Native American and 93.9% are White. Students, whose first language is not English or with limited English, comprise .8% of the population. Students from low-income families comprise 15.8% of the school population and 15.8% of the students receive Special Education services. The dropout rate for the district for grades 9-12 is 3.5%. The attendance rate for Plymouth’s school population is 94.7% while the average number of days absent is 9.2%. The total number of teachers for the district is 634, bringing the student/teacher ratio to 13.6:1. The percentage of teachers licensed in teaching assignments is 94.2%. MCAS results show that students in the district for grades 6, 8, and 10 did not do as well as the state average in mathematics. This was also the situation for grade 8 in science and technology and grade 10 in English/language arts. According to the Massachusetts Department of Education, the Plymouth School District has been identified for improvement in the area of mathematics for subgroups only. There are approximately 462 students attending the Federal Furnace Elementary School, a Kindergarten through grade 5 school. There are two kindergarten classrooms, four first grades, four second grades, three third grades, four fourth grades and three fifth grades. There are support services in reading, special education, speech/language, and guidance. There is a full-time administrator and a half-time administrator. The half-time administrator serves as an educator for half of the day, teaching fifth grade math and science. As of a 2004-2005 report, 4.8% of the students at the school were African American, 1% were Asian, 2.7% were Hispanic, 0.4% were Native American and 91% were Caucasian. 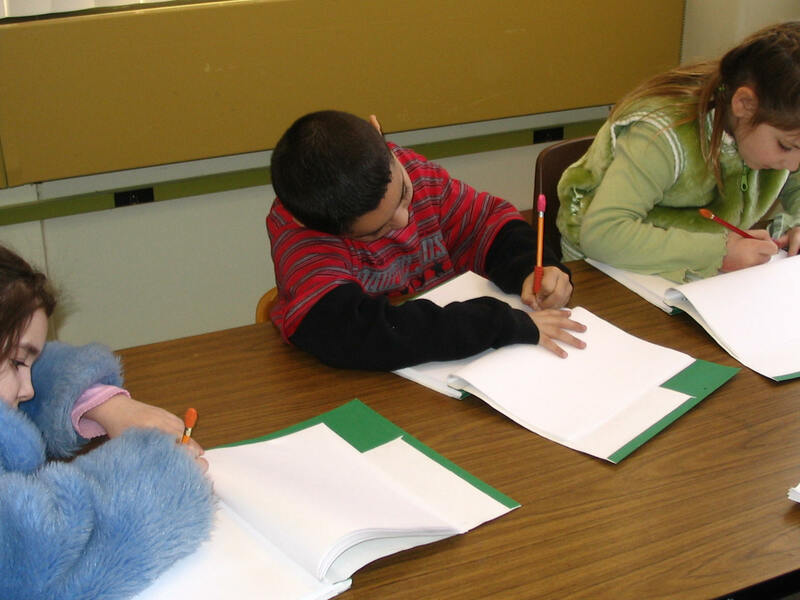 The nine struggling first graders participating in this study were chosen as a result of the Kindergarten spring 2005 Dynamic Indicators of Basic Early Literacy Skills (DIBELS) and raw data obtained by teacher-made tests. The DIBELS subtests used were: speed of initial sound fluency, speed of letter identification, and speed of reading nonsense words. Each of these subtests were one minute in length. These students were in the “at-risk” category of the DIBELS in the spring of 2005. The teacher-made tests measured letter and sound identification and Kindergarten sight words. The nine struggling first graders also scored the lowest in comparison to the rest of the first graders in the four first grades on the teacher-made tests assessing letter name knowledge, letter-sound identification, and Kindergarten sight word knowledge. Fall first grade DIBELS scores and DRA results confirmed the same students in need of reading improvement. The population of this study consisted of five struggling first-grade students receiving a modified Reading Recovery approach from a Reading Recovery trained researcher and reading instruction from the classroom teacher, four struggling first-grade students receiving the Early Reading Intervention (EIR) program and reading instruction from the classroom teacher, and the rest of the first-grade class was the control group who received only reading instruction from the classroom teacher. The reading program the first-grade teacher used is the new Houghton-Mifflin program, approved by the National Reading First Centers. 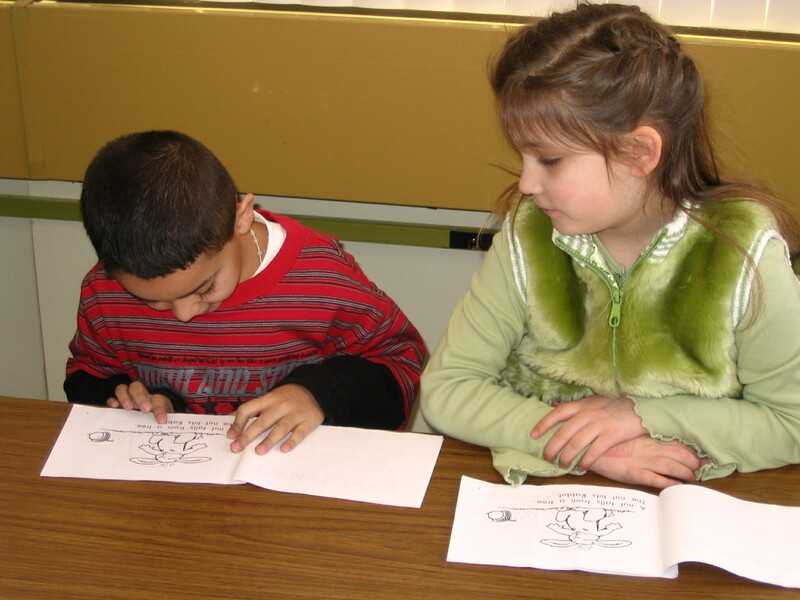 The five students working with the researcher received modified Reading Recovery lessons. These lessons are considered modified Reading Recovery lessons since Reading Recovery is conducted on a one to one basis and the researcher worked with a group of five students. Also, in a typical Reading Recovery lesson, running records are completed on a daily basis. Running records for this project were, instead, completed on a monthly basis. The modified Reading Recovery lessons took place in a first grade classroom at the Federal Furnace School, over to the side of the classroom at a long table. Due to the number of adults in this first grade classroom as a result of the presence of Autistic Spectrum Disorder (ASD) students, the ERI group met with their teacher in the Learning Center, a classroom converted into 3 separate areas for learning . Both the modified Reading Recovery lessons and the ERI lessons took place for thirty minutes each day for a period of twelve weeks, starting on October 11, 2005. ERI lessons concluded on January 20, 2006. The modified Reading Recovery lessons concluded on February 3, 2006, since the entire week of November 1, 2005, the researcher attended a conference about DIBELS presented by Roland Good and Ruth Kaminski. The weeks of Thanksgiving and Christmas, the class was involved in holiday festivities and lessons so instruction in reading did not occur. 1. Teacher reads students a story and discusses story. 2. Students make alphabet books and glue pictures for the four letters of the alphabet (Lesson 1--Aa-Dd; Lesson 2--Ee-Hh, etc.). Then students, as a group, point and read the portion of the alphabet book they have created; finally students read their alphabet books in partners. 3. Students will find the new letters stressed in the lesson using magnetic letters on cookie sheets. 4. Students will write these same letters in the air, on the desk, and on paper as they say the strokes to make the letters. 5. Students will practice pushing counters into Elkonin boxes as they segment words the teacher says (using 2-4 boxes). Depending upon if students need to review letters or sight words, have each student make two piles of letters or words; if a student knows the letter or word, the student places the letter or word card close to him; if the student doesn’t know the letter or word, the student places the letter or word card closer to the teacher. The object of the game is to have the most cards. *For those students who are having difficulty retaining the letters or words, memorable experiences need to be provided for them. Ex: Have the children paint on paper when writing the letters or words and have them say the letter or word as they do so. Use shaving cream on desks for the children to write and say letters or the words. These activities should be carried out with any child who is having difficulty remembering how to write or read the letters or words. Large arm movements in the air while saying the letter strokes or words are also a way to help children remember letters or words. 2. Begin familiar rereading by having children partner read. Observe carefully as they are reading, being sure they sound fluent and are using strategies with unknown words and at difficulty. With children who are word-by-word reading, either pair them up with a fluent reader or model fluency by being their partner for a few pages. You will notice the shift in the student. 3. As children are rereading with partners and have chosen one of the choices you have given them to work on when they have finished reading (creating their own book similar to the one they have read, and activity about the book, responding activity based on the book), you can take a running record on a child and conference with that child in terms of needs exhibited on the running record. Children will write in a notebook with unlined pages. Explain how to use the top page of the notebook (to try the word to see if it looks right, to take a word to boxes, and finally to take a word to fluency). Words taken to boxes may eventually be taken to fluency if they are high frequency words. Each day choose a student to make up a sentence orally for the group to write. For the first two lessons, the teacher should model writing on a chart or board as she asks the children what they hear and what to write next as she writes the sentence the child has made up. The teacher should reinforce the idea of repeating the sentence orally in order to predict the word to come next and also to check writing work. After the first two days, the students will then write the sentence in their notebooks. After the sentence has been written, the teacher will Xerox the sentence for each student and have students cut up the sentence into words or word parts, depending upon what the students’ needs are. Ex: If the students needed reinforcement of one to one matching, the words will be cut apart. However, if the students were successful with one-to-one matching, but needed reinforcement of initial sounds, the first letter of one of the words will be cut off. “ My d og is funny.” Students will then be encouraged to put the sentence back together, while pointing and reading the sentence and also making the sound of the letter that had been separated from the rest of the word. This activity promotes one to one matching, knowledge of the difference between letters and words, initial, final and medial sounds, and sight words. A similar procedure can be used with final sounds, suffixes, prefixes, and medial sounds. Have the students keep track of words they know by writing them on a chart. The teacher should hold onto the chart and distribute them to the children at the end of each writing session in order for the children to record newly acquired words. Also stress the reading/writing connection: “If you can write it, you can read it.” “If you can read it, you can write it.” Many children view reading and writing as separate entities and it’s important that we point out these distinctions to them. --All silently read story or section of story. --As students read to themselves, monitor some students, writing down cues students used and cues you prompted (anecdotal notes). Work with individual students guiding them as necessary using Fountas’ and Pinnell’s prompts. --Ask some factual questions, but ask primarily higher-level questions involving inferencing. **Phonics occurs during all sections of this lesson. For first graders at the beginning of the year, remember to do quick activities involving letter identification using magnetic letters when doing the section of the lesson involving high frequency words. Also, concentrate on building high frequency words through the use of their own made books during the writing session of the lesson and through the use of the readables during the familiar rereading and new book reading. Once students know at least 8 sight words, analogies can be made between words. Teach students that knowing one word or chunk can help them read or write a similar word. Ex: If the child knows how to read or write sun, the child can then read or write bun. Concentrate instead on making and breaking known words using magnetic letters or similar materials. Children at this point are learning how words work. For children with one to one matching problems, concentrate on having them clap the parts (syllables) to words illustrated by pictures and reinforce the idea that your finger stays under the word until you voice has finished saying the word. 1. High Frequency Words (sight words)—review from day before. Ex: using “Your Pile, My Pile”—Each student makes two piles of words; if a student knows the word, the student places the word close to him; if the student doesn’t know the word, the student places the word closer to the teacher. The object of the game is to have the most cards. *For those students who are having difficulty retaining the words, memorable experiences need to be provided for them. Ex: Use paint on paper to write the words and say the words. Use shaving cream on desks for the children to write and say the words. These activities should be carried out with any child who is having difficulty remembering how to write or read the words. Large arm movements in the air while saying the words are also a way to help children remember words. 2. Begin familiar rereading by having children partner read. Observe carefully as they are reading, being sure they sound fluent and are using strategies with unknown words and at difficulty. With children who are word-by-word reading, either pair them up with a fluent reader or model fluency by being their partner for a few pages. This should cause a shift in the student. After the sentence has been written, the teacher should Xerox the sentence for each student and have students cut up the sentence into words or word parts, depending upon what the students’ needs are. Ex: If the students needed reinforcement of one to one matching, the words would be cut apart. However, if the students were successful with one-to-one matching, but needed reinforcement of initial sounds, the first letter of one of the words would be cut off. “ My d og is funny.” Students should then be encouraged to put the sentence back together, while pointing and reading the sentence and also making the sound of the letter that had been separated from the rest of the word. This activity promotes one to one matching, knowledge of the difference between letters and words, initial, final and medial sounds, and sight words. A similar procedure can be used with final sounds, suffixes, prefixes, and medial sounds. Early Reading Intervention (EIR), originally Project Optimize, is a scripted program which focuses on phonemic awareness and phonology. It was designed for children who need early, intensive intervention in phonological awareness, letter names, letter sounds, word reading, spelling, and simple-sentence reading. Daily 30-minute lessons include 15 minutes of phonological and alphabetical understanding and 15 minutes of handwriting letters and spelling. There are 126 lessons. 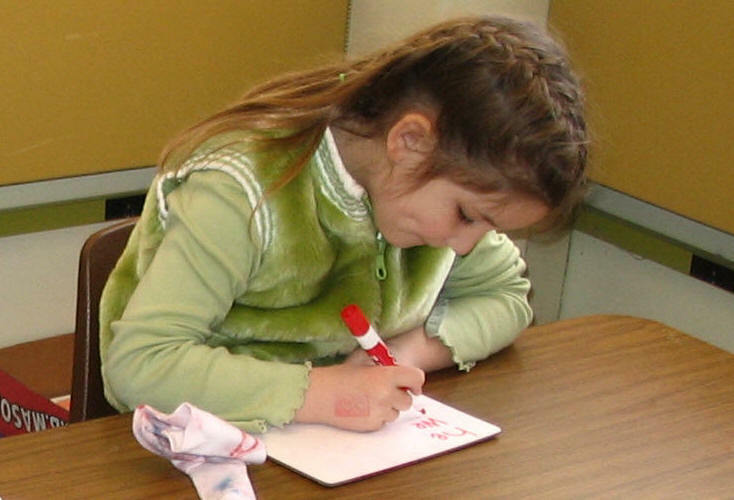 In November 2002, the Project Optimize became the Scott-Foresman Early Reading Intervention Program, published by Scott-Foresman (Scott-Foresman, n.d.). 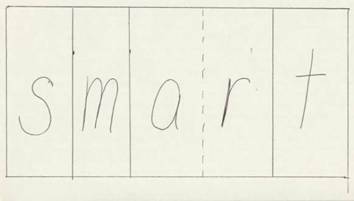 -- Cut-out pictures from old phonics workbooks; In making the alphabet books, students chose pictures to help them solidify the sound of each letter in their minds and also to improve the retention of the letter names. A quantitative, quasi-experimental (pretest and posttest) nonequivalent design was used since the students (subjects of this study) were already assigned to their classroom. Raw scores in the fall on both the Developmental Reading Assessment (DRA) and the Dynamic Indicators of Basic Early Literacy Skills (DIBELS) were used as a baseline. Additionally, all three groups were given the Dictation subtest from Clay's Observation Survey in order to demonstrate their encoding ability at the beginning of the experiment, in the middle, and at the end of the experiment. At the conclusion of the twelve week period, students were tested again using the DRA and the DIBELS. Reading gains made by the three groups on pretests and posttests were compared. The three Dictation subtests from Clay's Observation Survey were also reviewed to determine progress. Students’ writing samples were assessed using a checklist. Mean and standard deviation were calculated for the DRA, the DIBELS, and the Dictation subtest from Clay's Observation Survey. A behavioral checklist noting the attention of the students was completed at the beginning of the experiment, in the middle, and at the end of the twelve weeks. Anecdotal notes/observations were made and Running Records were taken during modified Reading Recovery lessons. A triangulated approach to assessment was utilized for this study, using the three quantitative assessments: DRA, DIBELS, and the Dictation test along with two qualitative measures: a checklist for the Dictation test and a checklist measuring student attention as they become more adept in literacy. The researcher used assessment and evaluation (specifically Running Records, observations during lessons, anecdotal notes, and an attentional observational checklist in addition to the pre- and post-test assessments) as ongoing processes to guide and inform instruction (Cooper, 1993; Reutzel & Cooter, 2005; Shepard, 2000). During lessons, the researcher activated and assessed students’ background knowledge in order to scaffold students' comprehension and/or help to revise existing knowledge and beliefs (Cooper, 1993; Langer, 1981, 1982, 1984; Reutzel & Cooter, 2005; Shepard, 2000). Students read texts at their instructional levels. At this level the material was not frustrating but challenging enough to help students learn more about the reading process as they read (Clay, 1991; Fountas & Pinnell, 1999; Kintsch, 2000; Vygotsky [as cited in Ruddell & Unrau, 2004]). The researcher's role in teaching modified Reading Recovery lessons was that of a facilitator, modeling, guiding and scaffolding the learning process instead of imparting information. The researcher also prompted students for the desired response when necessary (Lepper, Drake, and O’Donnell-Johnson; Rogoff & Gauvain; Vygotsky; [all as cited in Ruddell & Unrau, 2004]). This teacher-researcher reflected on her instructional practice with the modified Reading Recovery group through the use of daily observation, anecdotal notes, running record assessments, a checklist gauging students' attention, and the use of a journal. This teacher-researcher also consulted with the classroom teacher regarding her assessment of how the students in the modified Reading Recovery group were performing in reading, writing, and attention during daily classroom learning. The following is a week-by-week reflection of my instructional practice. The week of October 10th, 2005, I began testing the students in the first grade classroom in which research would be conducted. At the beginning of the week I tested each student with the first-grade DIBELS one-minute measures of letter identification fluency, phonemic segmentation fluency, and nonsense word fluency. Results confirmed those students who were listed last spring as struggling in reading. 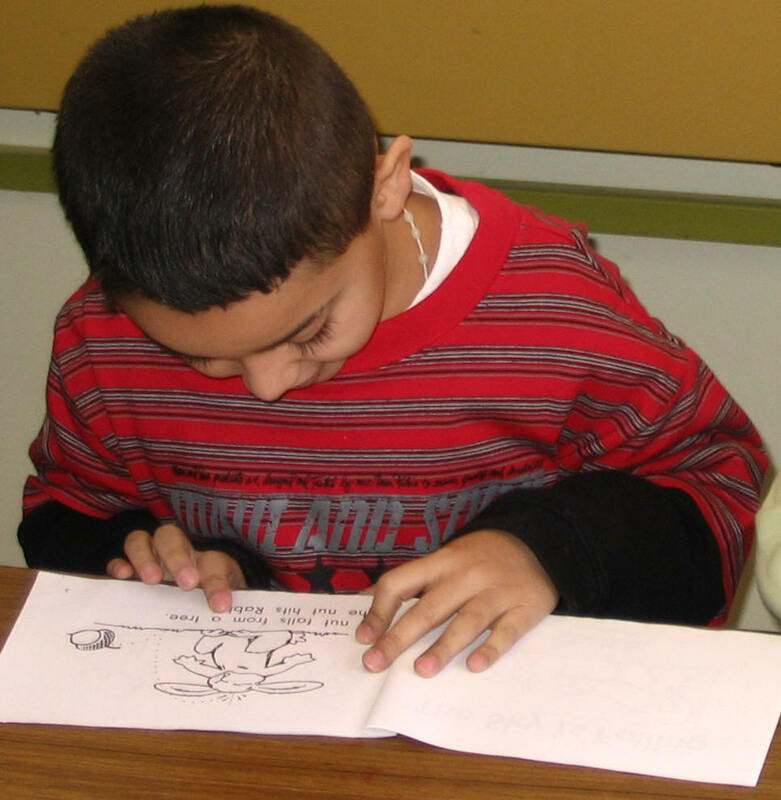 I then began testing the first-grade class individually using the Developmental Reading Assessment (DRA). The DRA not only helps determine a student’s instructional reading level, but also indicates a student’s performance in comprehension and fluency in reading as well as reading strategies used. DRA results also confirmed those students who were listed last spring as struggling in reading, but gave more detailed information on areas of reading to be worked on for instruction. I tested the students using the Dictation subtest of Clay’s Observation Survey. The results again confirmed who the struggling readers are in this classroom. I observed students’ attention to classroom reading instruction. Students in both the ERI and Modified Reading Recovery groups had more difficulty paying attention to the teacher than the Control group. The week of October 17th, 2005, I began working with the modified Reading Recovery group of students and the SPED teacher began working with the ERI group of students. Meanwhile the classroom teacher proceeded to instruct the class as a whole and in groups from the new Houghton-Mifflin reading series. Due to the number of adults in this first grade classroom as a result of the presence of Autistic Spectrum Disorder (ASD) students, ERI students met with their teacher in the Learning Center, a classroom converted into 4 separate areas for learning to be occur. The classroom teacher provided me with a small area to the side of her room at which to work with my group. There was a board, long table and six chairs. I brought some of my own materials with me: white boards, markers, pencils, writing folders, Xeroxed books from Reading A-Z, magnetic letters, alphabet strips, and teacher-created books for students to make their own alphabet books. The students loved the small group setting. At one point, one of the students, Angel, commented about another student, Haley, who doesn’t say anything during the regular class time. Angel said, “Wow, I didn’t think she could talk.” As a result of Angel’s observation, I was pleased to see that Haley was comfortable with our setting, group, and with me for this would increase her ability to learn since she didn’t feel threatened, but instead could feel like a risk-taker. Toward the end of the week, the group began reading level A text, a beginning kindergarten reading level. During the week of October 24th, 2005, the classroom teacher conferred with both the ERI teacher and me regarding the progress of our groups in grasping letter names, letter sounds and sight words. She expected our students to be making the progress of the group she was working with, the control group. We had to reassure her that our students were beginning to make progress, but it would be at a slower rate, initially, and that is why we were working with them, because they are the struggling readers who are hardest to teach. We were not surprised that our students were demonstrating difficulty with some of the concepts such as letter identification, letter sound knowledge, and sight word recognition, but we were beginning to see progress for most of the students. The week of October 31st to November 3rd, 2005, I was unable to meet with the modified Reading Recovery group since I attended a DIBELS conference in Williamstown, Massachusetts, presented by Roland Good and Ruth Kaminski, authors of the DIBELS. When I returned to the modified Reading Recovery group on November 7th, 2005, the students greeted me spontaneously by saying they were glad to see me, by asking where had I been, and by telling me that they had missed having our reading sessions. From their responses, I could tell that they enjoyed our reading sessions and also missed learning new concepts in reading. They were eager to begin the tasks of writing high frequency words, rereading familiar stories, reading new stories, writing in their notebooks and working on cut-up sentences. I began giving homework this week. Homework consists of rereading the book we read during our session and also putting together a cut-up story that we create during our lesson (actually a cut-up sentence, although it’s called a “cut-up story”). 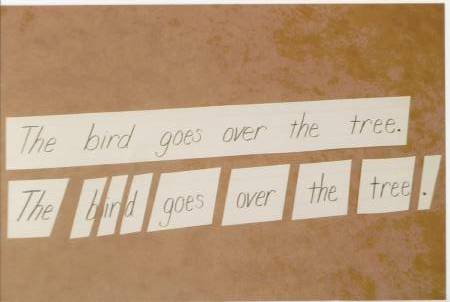 The cut-up sentence reinforces various concepts of print such as knowledge of the difference between letter and word, left to right directionality, and one to one matching. Additionally, letter-sound correspondence and high-frequency words are reviewed as well as phonological segmentation. The ERI teacher has been seeing the cut-up sentences go home, and, wanting her students to improve their reading ability, she has also begun to try this same approach when she works with her students in her additional time spent with them in the classroom. This worries me a little. I do want to see all students improve in their reading ability, yet I can see that by doing this, she may contaminate my results. However, I am hoping that the results will be valid since I have not instructed her as to the procedure involved in using the “cut-up stories." The week of November 14th to the 18th, 2005, we continued reading stories from Level A of Reading A-Z that I had downloaded and printed for each student in the Modified Reading Recovery group. I have been diligently observing students’ use of voice-print match as they read and noted whether or not they look at the picture before they read and as they come to an unknown word. On a different topic, the classroom teacher feels that one of my students, Devonte, should receive special education services. I don’t believe that he should. Devonte’s problem is that his environment is not conducive to literacy. He really doesn’t understand the purpose of reading since no one reads to him. Devonte comes from a home in which both parents cannot read. At first I thought another language was spoken in the home, but have found out that this is not the case after meeting Devonte’s mother during parent-teacher conferences. Apparently, Devonte’s mother is learning how to read from Devonte. She said she wanted more for her son than what she has experienced as a result of not being able to read. I called the Plymouth Public Library to get information on free services for teaching adults to read and shared this information with Devonte’s mother. Devonte’s mother said she is learning to read as Devonte learns to read. This week the group progressed to a level B reader which is a latter part of the kindergarten year level of reading. During the week of November 21st to the 23rd, 2005, many Thanksgiving activities were occurring so I had not planned to hold formal group lessons. Instead, I did running records on each student in the Modified Reading Recovery group except for Taylor since she had left school for an early vacation. The students read a level A book that they had read only once before called “Going Places.” Each student scored in the independent reading range. Three out of the four students used the following cues at error: semantic (meaning), graphophonic (visual), and syntax (language/structure). Devonte made two errors and two self-corrections. This showed he had good self-monitoring ability. Devonte is flexible with his cue use at error and uses meaning, structure and visual cues to cross-check meaning or structural cues when self-correcting. He also uses the strategy of rereading. After careful analysis of the running records I determined that the students are ready to read at a Level B starting next week. From November 28th to December 2nd, I have had the students focus on making and breaking words using magnetic letters and also using markers and dry erase boards. They really enjoy these activities. Meanwhile I keep impressing upon them how we can use a word we know to help us read or write an unknown word if the words share a common chunk of letters. We continue to increase the number of known sight words. Devonte is having difficulty retaining the sight word this. I have tried to relate it to the known word the. Part of the problem is that Devonte’s letter formation needs improvement. From my experience with Reading Recovery, it has been shown that students who form the letters incorrectly also have difficulty retaining sight words. I will continue to work with Devonte on forming letters correctly and on sight word recognition. The week of December 5th to December 9th, the group reviewed the following high frequency words: on, in, the, this and learned how to read and write put and little using the dry-erase boards. The group did word work involving: me~we~he~she; look~book~took~hook~shook. They read the books Games We Play, Getting Dressed, We Make Cookies, and I Read a Book. We were only able to meet three times this week since there was a schedule change due to Wednesday being an inservice day and since I was pulled to substitute for a teacher in grade three on Thursday. This week Devonte was prompted not to look at me when stuck on an unknown word, but to look at the page he's reading, noting the picture details. I also stressed how important it is to make an h look like an h and an n look like an n when writing. Devonte found it difficult to segment words having three phonemes. We will continue to work on this. During the week of December 12th to the 16th, the group reviewed the following high frequency words: the, this, little, put, and come. They learned how to read and write: with, will and get using magnetic letters and their dry-erase boards. The new high frequency words were also used in the sentences they wrote in their writing books. Word work involving get~let~met~net~pet~wet and come~some occurred during the making words section of the lesson as well as during the writing portion of the lesson. This week, my prompting for Haley revolved around getting her to point to words and make the first sound of the unknown word as she reads, thinking what would make sense with the story. She also needs to review sh. Prompting for Ashley involved getting her to look at the picture when she was confronted with an unknown word. --Angel and Ashley scored at an independent reading level. Angel used a balance of cues at error with one word told to him by the teacher. He had no self-corrections as this was his only error. Ashley strongly used meaning or semantics at error. However, she self-corrected two of the three original errors she had made. This teacher-researcher will prompt Angel to try decoding unknown words instead of relying on the teacher. --Ashley used syntactic and graphophonic cues to cross-check semantic, syntactic, and graphophonic cues. Additionally, she used syntactic and graphophonic cues to cross-check semantic cues. This teacher-researcher will prompt Ashley to continue to use the semantic cue at error in addition to the graphophonic and syntactic cues. --Haley scored at an instructional reading level with one word told to her by the teacher and no self-corrections. Her mistakes were: "mom" for mother and "bowl" for pot. These mistakes indicate that Haley is strongly using semantic and syntactic cues at error. The bowl for pot error may indicate a b/d reversal. This teacher-researcher will continue to observe for letter reversal problems with Haley during lessons, helping her to differentiate between the two letters. This teacher-researcher will also prompt Haley to look through words, i.e. "mom" for "mother." --Taylor and Devonte both scored at the frustration level on the book Where?. They strongly used semantic cues at error. Taylor inconsistently tried to use graphophonic cues at error. In future lessons, this teacher-researcher will prompt Taylor to focus on the first letter of the unknown word in addition to using the semantic cue in order to determine the unknown word. --Devonte used graphophonic cues, basically the first letter of the unknown word. This teacher-researcher will prompt Devonte to look through the unknown word for known "chunks" (word parts such as ar, ing, ed, s, at) using his finger in addition to using the semantic cue in order to determine the unknown word. From January 3rd to January 6th, this teacher-researcher worked on using the prompts listed above in order to shift students to a new understanding of the reading process. Basically the group reviewed high frequency words and worked on fluency by rereading familiar books independently, in partners, and to me. This week I was not able to meet with the group on Monday since it was a holiday and I was also not able to meet with them on Friday as I attended a literacy conference at Bridgewater State College. On Thursday I finished up on any running records or Dictation Tests from students who had been absent the previous week. This teacher-researcher prompted Angel to cross-check semantic cues with graphophonic cues, sounding the first letter as he did so. Devonte was prompted regarding directionality of print since, when putting his cut-up story together, he originally had placed the words from right to left. During the week of January 9th-13th, I instructed the modified Reading Recovery group only two days since the entire school was in the process of testing using the DIBELS on Wednesday through Friday. DIBELS results will also be reported in this project, but this teacher-researcher disliked giving up the time to do DIBELS testing since she felt the loss of lessons would impact the group. However, the teacher who was instructing the Early Reading Intervention group was also involved in DIBELS testing this week. Therefore, both groups were impacted similarly regarding instructional time. Where was the new high frequency word the modified Reading Recovery learned to read and write. They also reviewed previously learned high frequency words using their dry-erase boards, their writing books, and their leveled readers. Word work involved the words day~way~away. This teacher-researcher stressed the connection between reading and writing; that is, if one can write a word, one can read it, If one can read a word, one can write it. This teacher-researcher prompted Taylor to reread at difficulty sounding the first letter of the unknown word and thinking what would make sense with the story. This week the group read books at a Level C, which is a beginning first grade level of reading. The week of January 17th to the 20th, this teacher-researcher was able to meet with the modified Reading Recovery group three out of five days. Monday was a holiday and on Wednesday this teacher-researcher's presence was requested at a student/parent team meeting. The modified Reading Recovery group continued to learn more about the reading process through their familiar rereading, exposure to new high frequency words such as when, said, are, aren't, how, many, do, and there, and in making new words through their writing (where~there; are~aren't;). For this week, the prompt this teacher-researcher used for Haley, Taylor, and Angel was having them self-monitor the graphophonic cue as they sounded the first letter and searched for the semantic cue as they decoded unknown words. During the week of January 23rd to January 27th, students in the modified Reading Recovery group reviewed high frequency words they had been exposed to last week and also learned some new high frequency words: who, want, and wants. They also wrote two sentences in their writing books on Monday, Tuesday, and Wednesday of this week. Ex: "When is night time? It is when I go to sleep." The words time and sleep were taken to sound boxes on the practice pages of their books so that students could segment the sounds and write the letters that stood for the sounds. An analogy in this lesson was made between a known word, see to an unknown word sleep regarding the similar chunk in both words. This researcher continued to stress self-monitoring of the graphophonic cue; that is, having students look through words and sounding as much as they could in addition to rereading (syntactic cue) and searching for the semantic cue at difficulty. On Thursday this teacher-researcher could not meet with the modified Reading Recovery group since she was asked to substitute for a first grade teacher by the principal. From January 30th to February 3rd, students in the modified Reading Recovery group continued to learn new high frequency words: what, asked, for, out, all and fast in addition to reviewing high frequency words they had previously seen. During the writing portion of the lesson, the students did word work involving the following words: all~call~ball~fall; fast~past~last. Students were encouraged to use the information they gained from making words to help decode unknown words in reading and to help encode unknown words in writing. This teacher-researcher stressed to the group the importance of using a balance of cues to decode words. Level D, another first grade level, is now what the modified Reading Recovery group is capable of reading instructionally. February 6th through the 10th involved the modified Reading Recovery group, the Early Reading Intervention group, and the Control group in assessments in order to determine progress made in learning to read. See "Discussion of Findings" for the results. The modified Reading Recovery approach is balanced literacy in action. 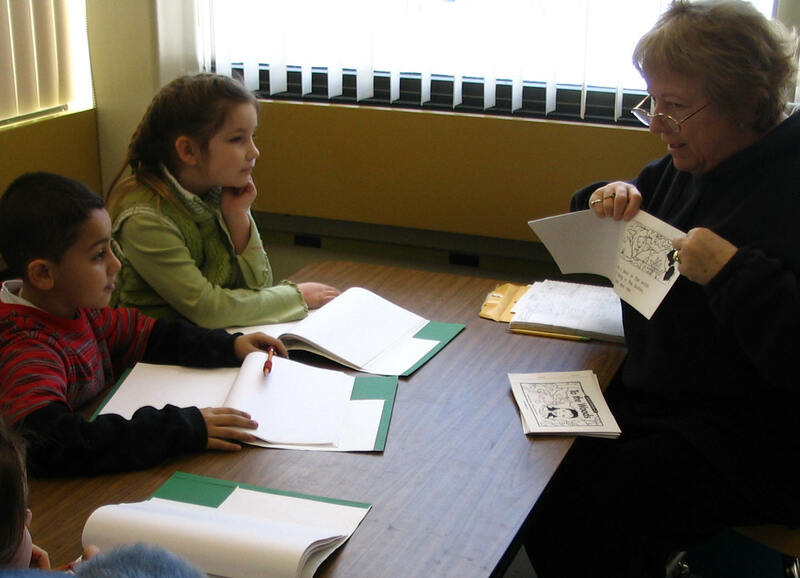 Modified Reading Recovery lessons incorporate the reading of books, the practicing of high-frequency words, phonology through the writing process, and the teaching and prompting of reading strategies. Because the modified Reading Recovery approach incorporates actual reading of books, the students in this group should fare better on assessments which are as close as possible to the actual reading process such as the Developmental Reading Assessment (DRA). The students in the modified Reading Recovery group will have made significant improvements in reading compared to the EIR group of students. 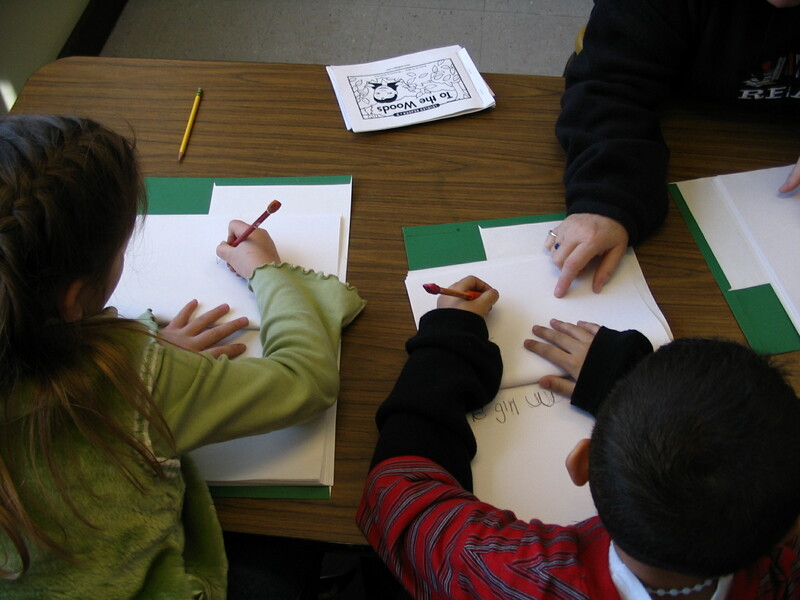 The results of this study will present educators with clear evidence concerning the best instructional method to use with struggling first-grade readers, a modified Reading Recovery approach, which focuses on student strengths and the expertise of the teacher in scaffolding students as they learn to read rather than telling students information by following a scripted approach such as that advocated by the creators of the ERI program.